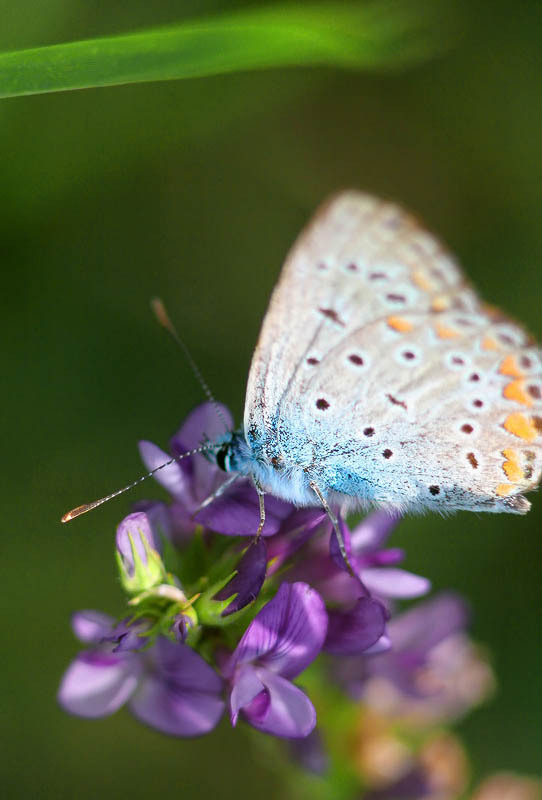 Close-up of butterfly with blue mossy body, beautifully ornate wings and long tentacles alighted on flower bloom. Scenery of insect on blurred green background. Wildlife, nature.